Invisible scars can be the hardest to heal. Seventeen years ago, firefighter Rick Turner kissed a boy, and he liked it—then he paid a horrible price. Now he spends his days running from who he is and what he wants, his nights hooking up with a man who doesn’t fill the aching hole in his soul. Until one night, newly dumped, he gets into a fistfight and is picked up by a cop-and-counselor team…and the counselor is none other than the guy who gave him that fateful first kiss. Stan Gable relishes serving people who actually want his help. When he encounters grown-up Rick—and oh my, how he’s grown—Stan’s first instinct is to step in and use his counseling skills to ease Rick out of his fears and out of the closet. But Rick’s prickly temper and lack of self-acceptance make him his own worst enemy. Before Stan can help Rick overcome those obstacles, he’ll have to take a look deep inside…and heal his own guilt before he can heal the man he still loves. 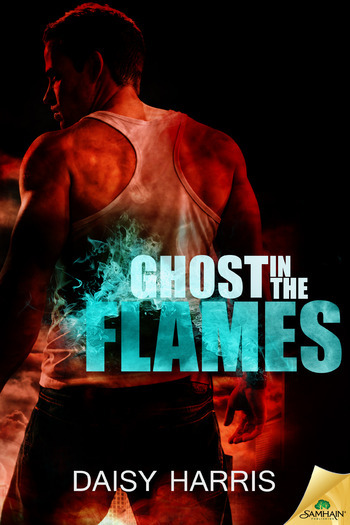 Warning: Contains a blustering, angry, and very closeted firefighter, and a counselor who doesn’t know how to mind his own business. Flashbacks of a gay bashing could be upsetting to some readers. I struggled with this book… a lot. Thinking back, I’m now struggling to remember why I didn’t put it down. I really like the macho guy who struggles with his sexuality, and the childhood friend that still has feelings for him and comes to the rescue. I love when two people meeting again for the first time in years, are able to find each other and common ground, find love. I just didn’t feel any of that love. If I can’t feel any connection between the two MC’s, will anyone else feel it? It could be me…maybe. I didn’t particularly like Rick, our firefighter who is kind of in denial and also has anger management issues. I also did not like Stan, the counselor for SPD who was, quite frankly, exhibiting very unprofessional behavior and who needed a counselor himself. Both men struggled to overcome an incident from their past, and in the process, proceeded to grate on my nerves. No love. No connection… and really, I just didn’t like the writing either. Ugh. I know there were some good things about this book, I just can’t figure out what those were. The more I think about it, the more I realize that it’s just not great and I didn’t enjoy it. A couple of nice points through the story were meeting and checking in with other characters from the series. If you’ve read any of the other books, you will enjoy those tiny glimpses of characters past, but this was not nearly enough to overcome all the other issues I had. This entry was posted on July 7, 2015 by Kristie in Contemporary, Cops / Cowboys / Military, Reviewer: Kristie and tagged 2.5 Stars, counselor, daisy harris, firefighters, gay bashing, out-for-you, ptsd, recovery.